We all know that dogs have a sort of magical healing power to them. This is no more evident than in the story of Rescue with Jessica Kensky and Patrick Downes. SAN DIEGO (NEWS 8) - We all know that dogs have a sort of magical healing power to them. This is no more evident than in the story of Rescue with Jessica Kensky and Patrick Downes. Jessica lost both of her legs and Patrick lost one in the 2013 Boston Marathon bombing attack. 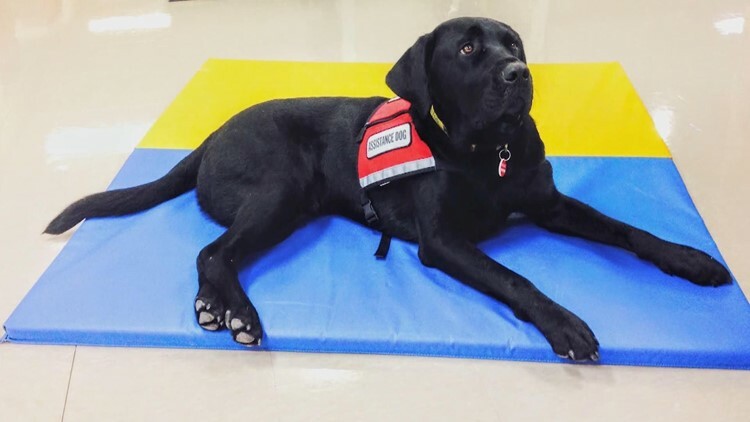 Jessica was matched with Rescue, a black lab service dog, in 2014 and the rest is history. Since then Jessica and Patrick have written a children’s book about the life changing friendship between Jessica and Rescue. The three of them joined Morning Extra to talk about the book and what they hope it will accomplish. Interested in purchasing Rescue and Jessica: A Life-Changing Friendship? Click here.